Here is the world's fastest robot on legs and its honestly pretty cool, but for now it needs your help win the race on Kickstarter. 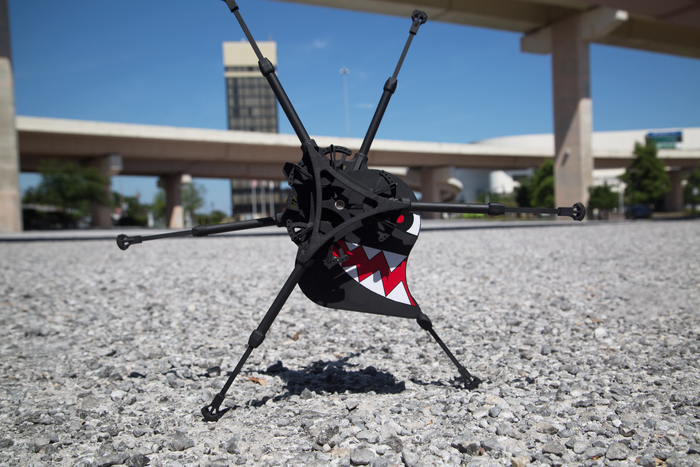 OutRunner is a six-legged machine built by Florida-based Robotics Unlimited that can reach speeds up to 45 miles per hour on a treadmill and 25 miles per hour outdoors. That beats previous records, by a lot: the legged robotics experts at Boston Dynamics have only gotten 16 miles an hour outdoors and 28.3 miles an hour on a treadmill. The team behind Robotics Unlimited is raising $150,000 on Kickstarter in order to produce the OutRunner for sale. It's raised $43,019 as of this writing with 16 days to go. If they hit their goal, the creators say they want to host a global robot race in which anyone can enter. There are a number of approaches to running robots from the quadrupeds built by Boston Dynamics, to humanoids like Honda's ASIMO, to machines with "whegs," or wheel-like legs. OutRunner looks nothing like an animal, but it still emulates the way animals run by using the same step pattern and mass-to-length ratio. The robot's center of mass is lower than the axis of rotation, stabilizing it and eliminating the need for sensors and control algorithms to keep it upright. As a result, OutRunner can run on grass, gravel, and down hills, as well as lean into curves around a track. The design even works with only four legs. It's too early to say whether the OutRunner campaign will reach its funding goal. But if the robot race were held today, it would probably win.